Happy Friday! 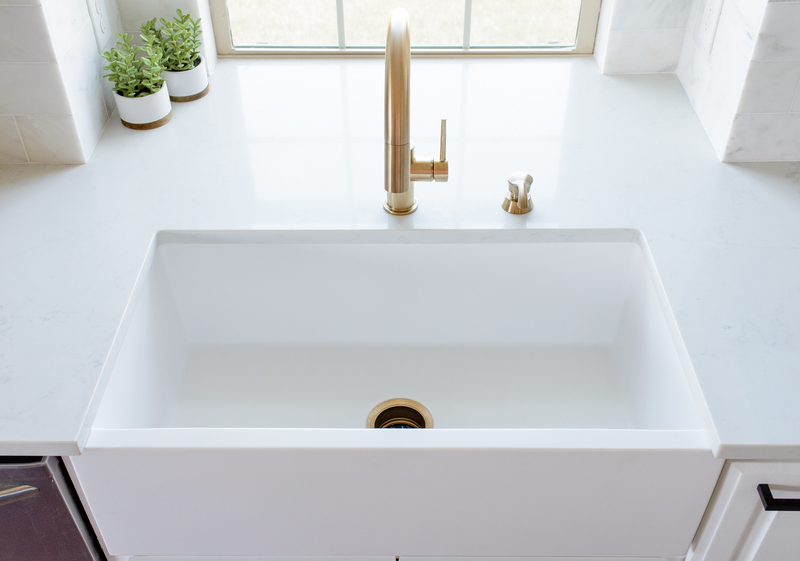 I’ve had many of you ask about our farmhouse-style sink and I’m so excited to share my review of the EMMA sink by Whyte & Company. 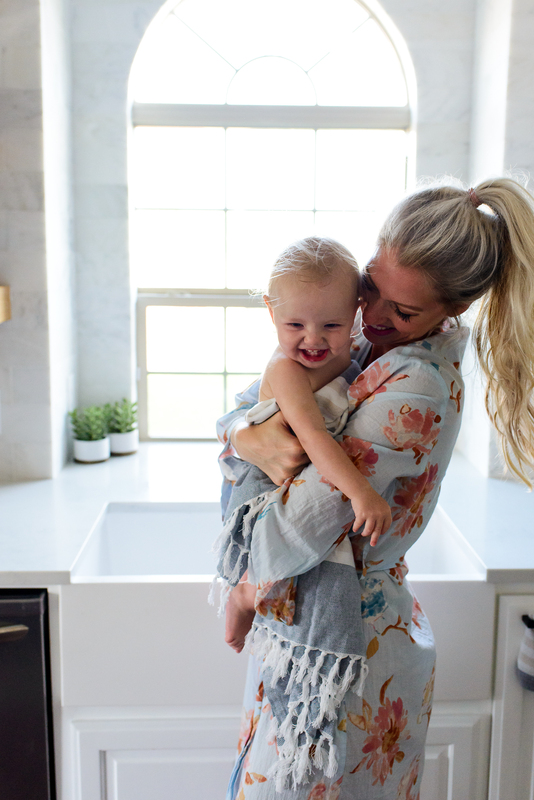 We moved into our home 8 months ago and one of the first renovation designs I tackled was to replace the sink with a beautiful white, apron front sink. 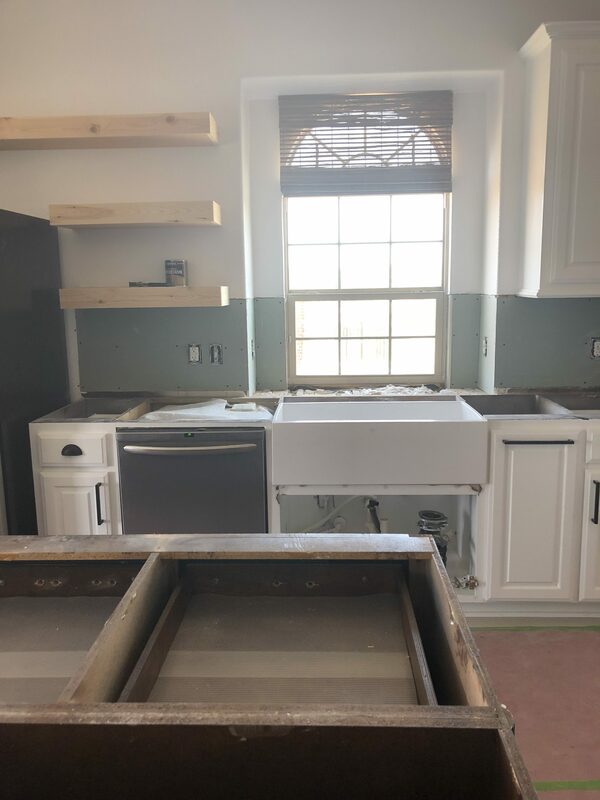 Please understand, there’s nothing wrong with the previous sink, there’s just everything right with a timeless, deep farmhouse sink. (wink wink). 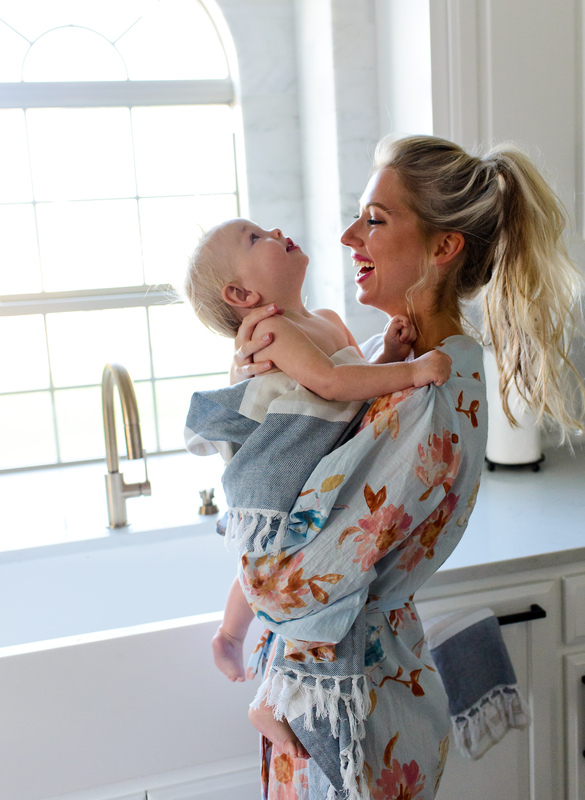 We scrub pots & pans, clean clothes & rinse swimsuits, and we even wash our babies in the sink. Read the full kitchen review here and here. DEEP. 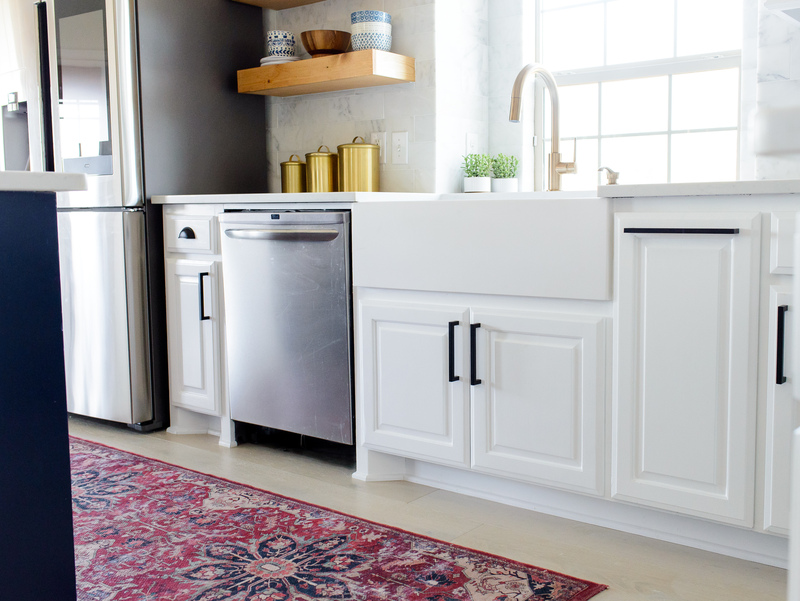 Hands down, the deep and wide apron-front sink is so convenient for stacking up full size pots and cookie sheets. It’s a workhorse for our large family! I can stack 5+ frying pans and you could never tell by looking at the kitchen. 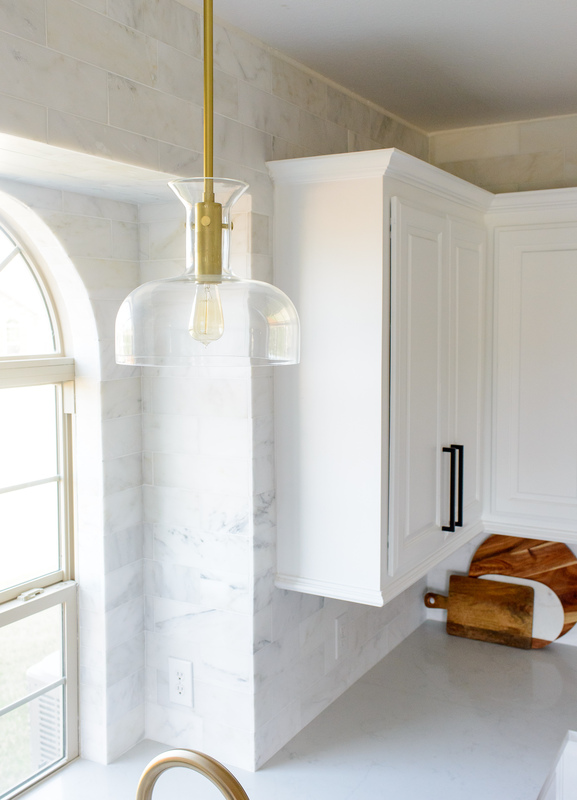 I also love the exposed front of the sink that adds extra style to the space. I’ve never wished the sink was split with a divider. This sink is deeper and wider than a traditional sink basin making it ideal for my handwash-loving husband. I grew up loading all dishes into the dishwasher and he was raised hand-washing them. Fortunately for me, most days the dishes stack up in the sink and he oddly enough gets to them faster than I can load them. And this sink is the deepest of them all! It cuts down on splashes & spills making it definitely easier to work with than the tradition basin. QUALITY COLOR. The unique thing about this particular sink is that it comes in nearly every color! Yes, even pink! And the color isn’t simply coated on the outside, it’s a solid color all the way through! How cool is that?! So even if it does somehow get scratched (which is tough to do in the first place), you won’t see another color underneath the blemish. It will match perfectly. 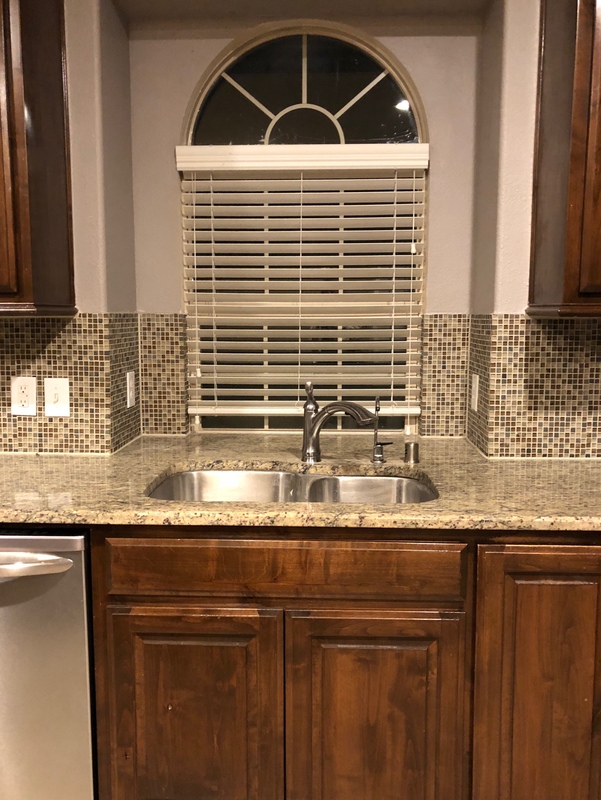 I was tempted for a hot second to add a navy colored sink to the kitchen but backed out as soon as I envisioned my dream kitchen… And my hubby may or may not have called rank on the only opinion he had. It’s a non-porous, bacteria resistant surface! Undermount. 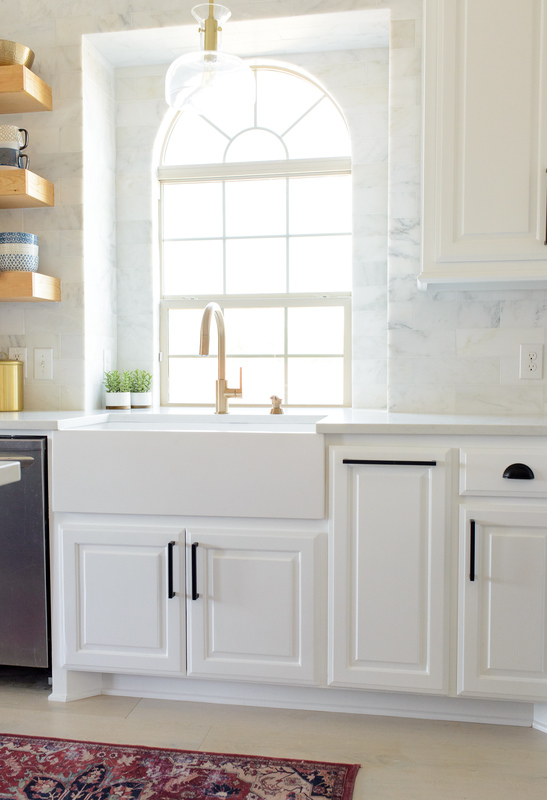 There are basically 2 options for installation of farmhouse sinks: undermount and top mount (also known as drop-in). 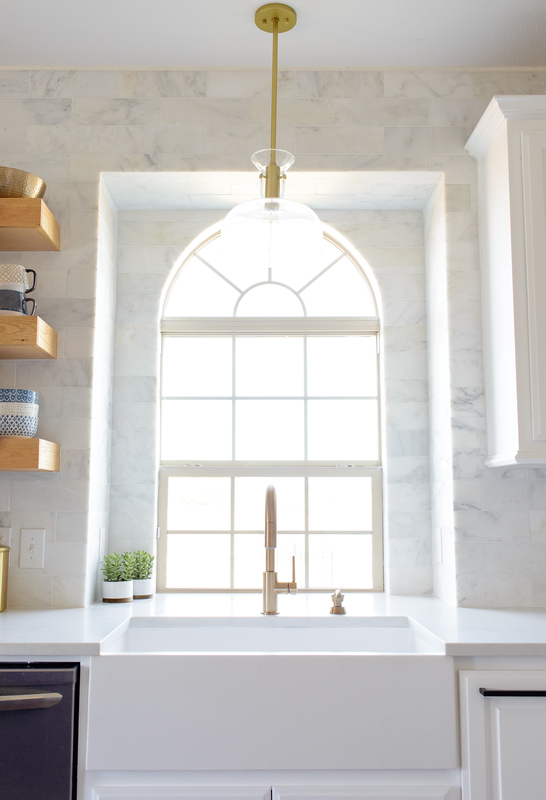 The most popular farmhouse sinks are undermount style, which, as the name implies, means they nestle under the countertop (not on top of), creating a seamless countertop edge surrounding the basin. Top-mounted sinks are usually less expensive and easier to install. I chose the under-mount so that I could just brush crumbs from the counter back into the sink, every day. haha. 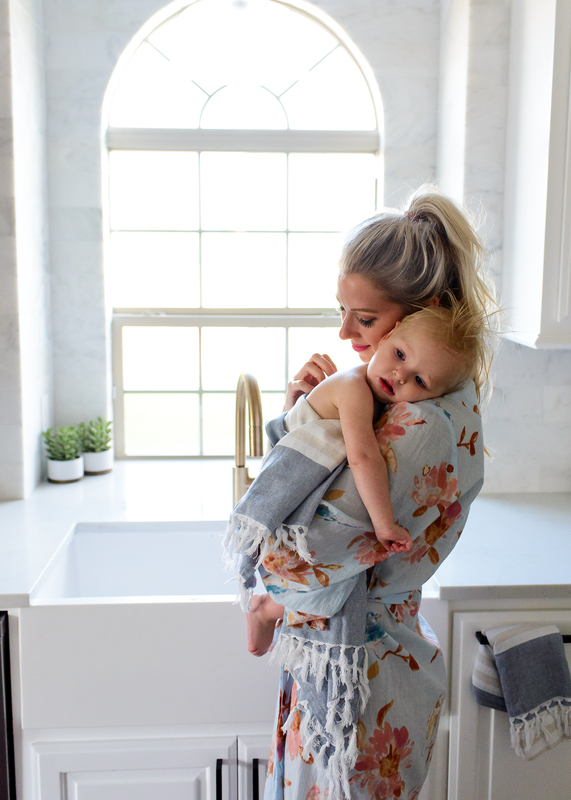 No, but really, it makes wiping down the counters fast and easy while giving the space a custom, seamless look. 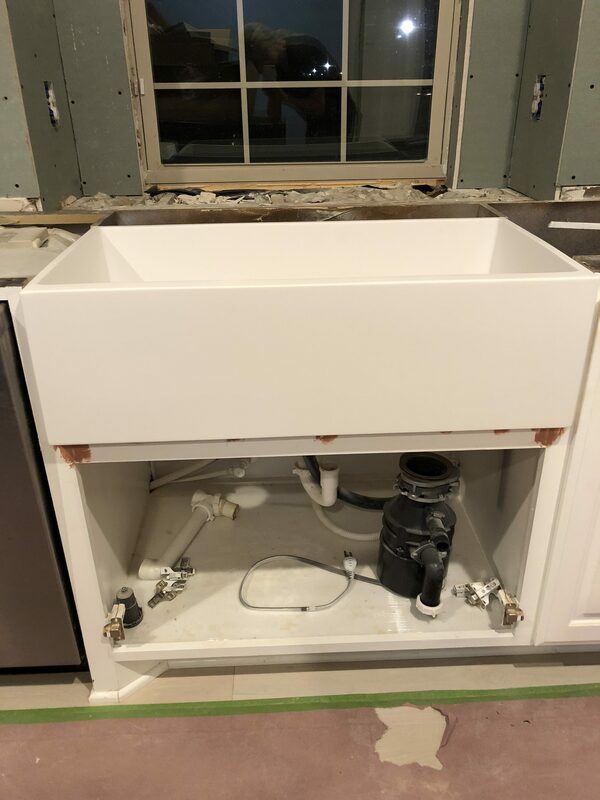 We did replace the cabinets underneath the sink with shorter doors and adjusted the plumbing to accommodate the larger sink. Since the sink is 100lb+, a wood shelf was built to provide full-proof support. 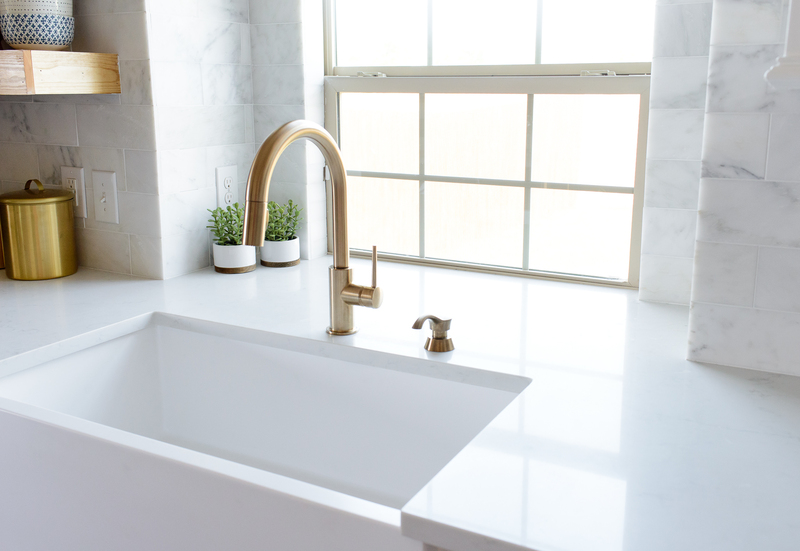 If you’re renovating a kitchen and considering a farmhouse sink then DEFINITELY check out the sinks over at Whyte & Company! 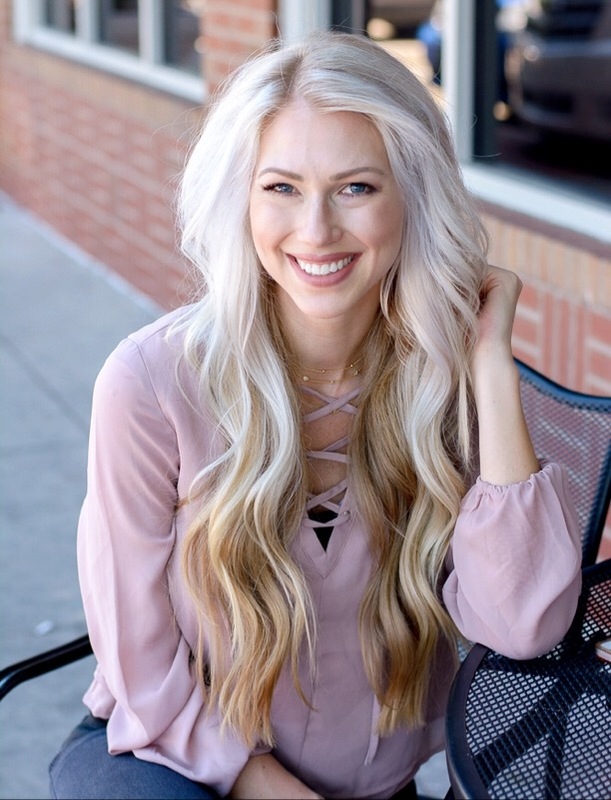 I came to know Kim Vance, the owner of the brand, and she is a force to be reckon with! Kim shared so much insight and is a wealth of knowledge when it came to all things kitchen. It’s a fabulous company with impeccable quality backed behind excellent support! 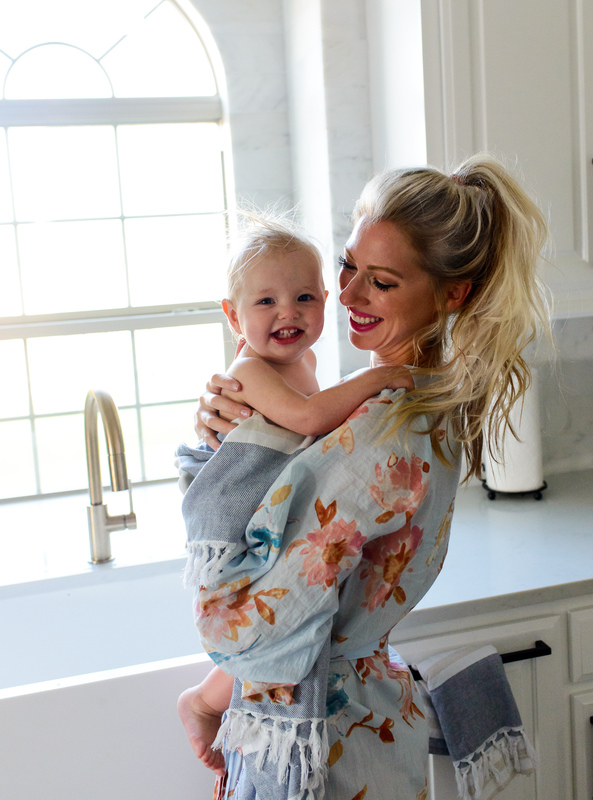 Check out this dalring clip of a typical bath with Avery! Here’s a few pictures of the project! Any questions about the kitchen? Drop your question or opinions in the comments below! Well . . . you just made redoing my kitchen a whole lot difficult. I want a sink like that now, my husband is going to kill me lol.